This is a wonderful meld of earthy colours to provide a professional and modern set of stationary. Would be suitable for any professional business or even one that has an eco purpose. 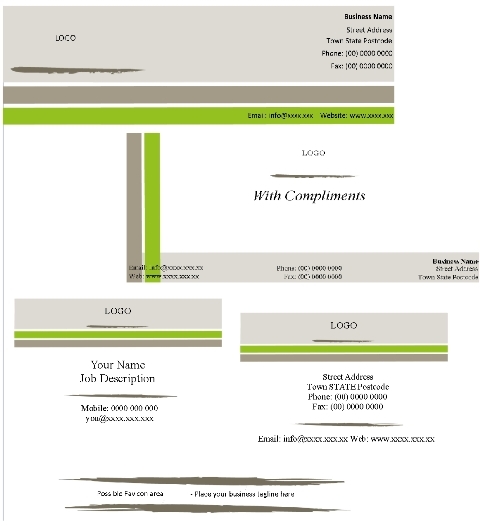 Set includes Letterhead, Business Card (front and back) and Complimentary Slip. Package includes: Publisher templates and PNG files in a ZIP format ready for you to edit.